Stiff neck and shoulder pains are the most common discomforts we experience after a long day’s work. If you spend your day facing your computer, chances are, you’ll experience neck pains and shoulder aches. These kinds of discomforts may also arise from stress and pressure we face every day. Massage parlors and spas offer all sorts of remedies for these types of discomforts, from body wraps to acupuncture and herbal neck wraps to aromatherapy. Herbal neck wraps, especially, work well for reducing the discomfort from neck and shoulder pains. Herbal Neck Wraps – What is it? Herbal neck wraps are similar to body wraps. That is, they combine the benefits of moist heat therapy and aromatherapy to produce better results. Herbal neck wraps are excellent for pain relievers, as well as effective decongestants. People suffering from cold can use herbal neck wraps to relieve congestion. Also, athletes can make use of herbal neck wraps as a replacement for ice packs. One of the main ingredients for mixing herbal neck wraps is lavender. Native to the mountainous regions of the Mediterranean, the plant prefers sunny, stony habitats where it can grow to heights of 3 and half feet. Lavender produces an aromatic essential oil that is considered as very versatile and useful. 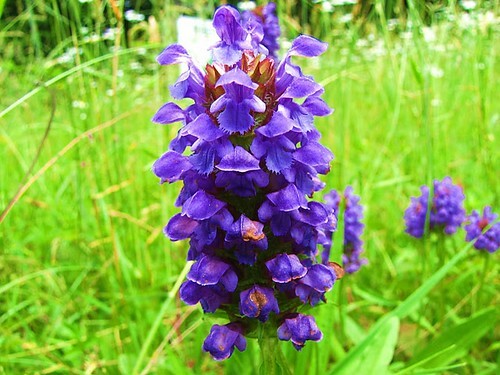 It is the oil used in perfumes and aromatherapy. Lavender essential oil relaxes, soothes, restores, and balances your body and mind. It refreshes tired muscles, feet, and head. Valeriana officinalis, the scientific name of Valerian root, is also another important ingredient in herbal neck wraps. The plant is indigenous to England’s marshy thickets where its tall stems may be seen towering over other species of flora. The Valerian root is an excellent herb that allays pain and promotes sleep. Its effects are similar to the effects of narcotics with none of the unpleasant after-effects. It highly valued in herbal neck wraps as a relaxing antispasmodic ingredient. White willow, or European willow, is a large tree with a rough grayish bark that is native to Central and Southern Europe. The bark of the white willow contains a high percentage of tannin, which is a natural salicylic acid that is nearly as potent as aspirin. Because of its analgesic properties, this herb is added into most neck wrap mixtures. Other herbs found in neck wrap mixtures are chamomile (nerve tonic, relaxant), rosemary (headache relief), peppermint (pain relief and anti-spasm), spearmint (nerve support), and hops (sedative). Some many neck wraps may also contain traces of yellow dock root to improve circulation, lemon grass, cinnamon, and yarrow.